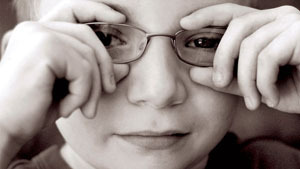 MX for Children was founded in 2005 by Paul Gross and Lori Poliski, parents of William, whose life was saved by the doctors and nurses at Seattle Children's Hospital on the second day of his life. MX for Children works to create a positive and synergistic bond between motocross enthusiasts and Children's Hospitals across the continent. The Inside Line Experience is a unique back- stage pass to your favorite Supercross race. Experience a small, private meet and greet with top Supercross racers, watch a private practice, explore a factory rig, walk the Supercross track, and get pit passes and great seats too. MX for Children is planning a complete bedroom makeover to put a smile on the face of a chronically ill child that is a Supercross fan. Know a kid that might qualify? Head over to our Supercross Dream Room Makeover page to learn more. The Jackpot Challenge is a North American fundraising event sponsored by MX for Children to support clinical research at seven children’s hospitals around the US and Canada. It is targeted at Supercross fans and provides incentive prizes to fundraisers including a top fundraising tier that offers a VIP trip for two to the Las Vegas Supercross finale. 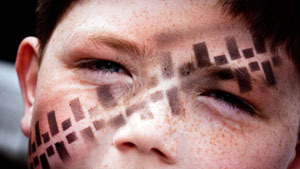 MX for Children is back! With the loss of Supercross in two of our cities, we took 2016 off. But with its return to Seattle and Salt Lake City for 2017, we are at it again — creating an unforgettable experience at Supercross and raising money for charity along the way! Are you planning on going to the Seattle, Salt Lake City, or Las Vegas rounds of Supercross and want an experience you won’t ever forget? The Inside Line Experience is back for 2017! What is the Inside Line Experience? How do you earn it? By raising money for pediatric brain research at Children’s Hospitals around the country! Head to http://mxforchildren.kintera.org and get started today! 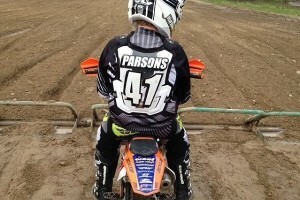 Liam Parsons is a 12 year old boy who races motocross. He also has leukemia. Four years ago, while being treated at SickKids in Toronto Canada, Liam began to raise money for another condition treated at SickKids — hydrocephalus. As a kid that had experienced childhood disease and one who appreciated the children’s hospital that cared for him, Liam became a fundraiser for MX for Children to benefit hydrocephalus research at SickKids. Over two years, he raised more than $1000 for hydrocephalus research at SickKids. 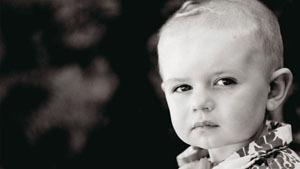 We are sad to learn that after being in remission for a few years, Liam’s cancer is back. Rex Backman, the MX for Children volunteer who ran many of our Toronto events, wrote the following story on Vital MX to tell Liam’s story. We are supporting a Go Fund Me campaign in support of Liam and asking those of you in a position to help out to join us. Thank you Liam for your generosity over the years. 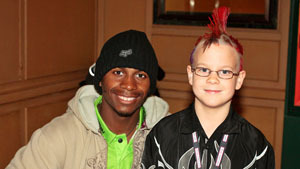 All of us at MX for Children wish you a speedy recovery and to the race track. For those of you who found that our link was broken, please accept our sincere apologies! This could be you in May 2015 at the finale of Supercross in Las Vegas. Ten dollars could get you and a friend or family member there and back, or a $500 gift card to the Motorcycle Superstore, or a set of Fox race pants worn and autographed by Ryan Dungey. We are changing up the Jackpot Challenge for this year — it is now an opportunity drawing with a grand prize of a VIP trip for two to the finale of Supercross in Las Vegas. Tickets are available online only for $10 each at http://mxforchildren.kintera.org/faf/drawing until the morning of April 13 when we will do the drawing and announce the winners! Second prize is a $500 gift card to the Motorcycle Superstore and third prize is a pair of Fox Racing pants worn and autographed by Ryan Dungey! All proceeds benefit hydrocephalus research at nine children’s hospitals across North America through our fiscal agent the Hydrocephalus Association. More information can be found on our Jackpot Challenge page. To sign up for the Inside Line Experience, please go to our fundraising site. For more information on the Inside Line Experience and how to qualify, visit go to our Inside Line Experience page. Stay tuned for an exciting announcement about this year’s Jackpot Challenge opportunity! 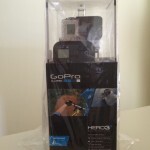 Need to pick up a GoPro Hero3? Need a new set of tires for car? 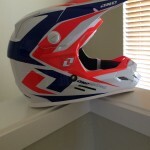 How ’bout a new MX helmet? Bid on these items on eBay and help MX for Children cross the $25,000 mark for this year’s fundraising. All proceeds go to support research at the nine Children’s Hospitals in the US and Canada. Click on an image to go to the corresponding eBay auction. Auction ends on May 24. 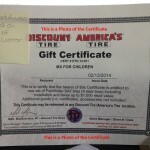 Special thanks to Colleen Luster for donating her Discount Tires Gift Certificate in support of TwoTwo Motorsports — winner of the 2014 MX for Children Jackpot Challenge Team award. We appreciate the donations from One Industries and GoPro as well! 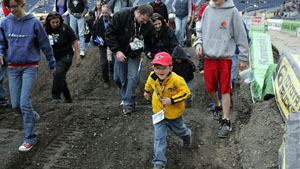 SEATTLE, WA – April 30, 2014 – (Motor Sports Newswire) – MX for Children’s fourth annual Jackpot Challenge charity fund raising event, with participants from all across Canada and the United States, garnered more than $21,000 for North American children’s hospitals. 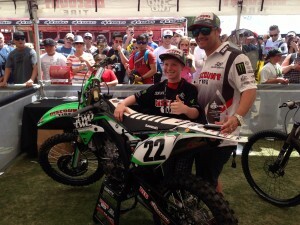 Chad Reed’s TwoTwo Motorsports dominated for the second year in a row to win the team award while Ontario Canada’s Dakota Yaskow was awarded this year’s 2014 Jackpot Challenge individual award. “We are pleased to recognize Dakota Yaskow, age 14, for his eight years of dedicated fundraising of more than $15,000 in support of MX for Children and Toronto’s SickKids Hospital,” said Paul Gross, founder of MX for Children. “Dakota will receive the Jackpot Challenge top prize – a Feld Motorsports’ sponsored VIP trip for two to the Monster Energy Supercross finale in Las Vegas, NV. MX for Children’s annual Jackpot Challenge, which follows each year’s Monster Energy Supercross series, raises funds supporting research at the following hospitals: Birmingham’s Children’s Hospital of Alabama, Houston’s Texas Children’s, Nashville’s Monroe Carell Jr. Children’s Hospital, Pittsburgh’s Children’s Hospital, Salt Lake City’s Primary Children’s, Seattle Children’s, St. Louis Children’s, Toronto’s SickKids and Vancouver’s BC Children’s Hospital. Funds raised support the hospitals’ research to improve the brain condition hydrocephalus – the #1 cause of brain surgery for children. Madison Hopfe was the recipient of our Supercross Dream Room Makeover yesterday. Watch Supercross on Fox Sports 1 tonight (April 11th) to get the full story. We will see if we can get access to it afterwards online. But here is a sneak peak of what we did. Special thanks to everyone that helped out or donated items. As for the Jackpot Challenge for teams, it is looking like TwoTwo is on a winning path again this year. Red Bull KTM is the next closest competitor but has a large gap to close in the next week. Thanks to everyone for supporting their favorite team in the Jackpot Challenge! Congrats to Ryan Dungey for his first win in Indianapolis this weekend — Red Bull KTM moves up to a tie in the Jackpot Challenge team points standing. One more month of fundraising remains for the Jackpot Challenge. And individual competition for the Jackpot Challenge is being led by long time participant Dakota Yaskow with $1885 CDN as of Sunday, March 2.